TRIBUTES have been made to a ‘rock n roll’ model who has lost her battle with cancer. Famed Sotogrande resident Bimba Bose, 41, died in Madrid’s Hospital Ramón y Cajal, two years after being diagnosed with breast cancer. 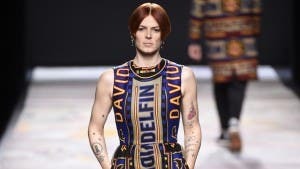 Pedro Almodovar is among the wave of celebrities who have paid their respects to the model, who was celebrated for her androgynous looks and working with out-there fashion designers such as John Galliano. “She was very creative, very daring and a very good friend”, said Almodovar, who cast Bose in his latest Oscar-nominated flick, Julieta. “She was a sweetie and very charming”, he added. Meanwhile, Malagueno actor Antonio Banderas took to Twitter to express his remorse, offering his ‘sincerest condolences and hugs’ to her family, which includes her two daughters Dora, 12 and June, 5.